Please join us as art historian and The Dark Galleries co-author Steven Jacobs gives a lecture on the role of portraits in film noir. 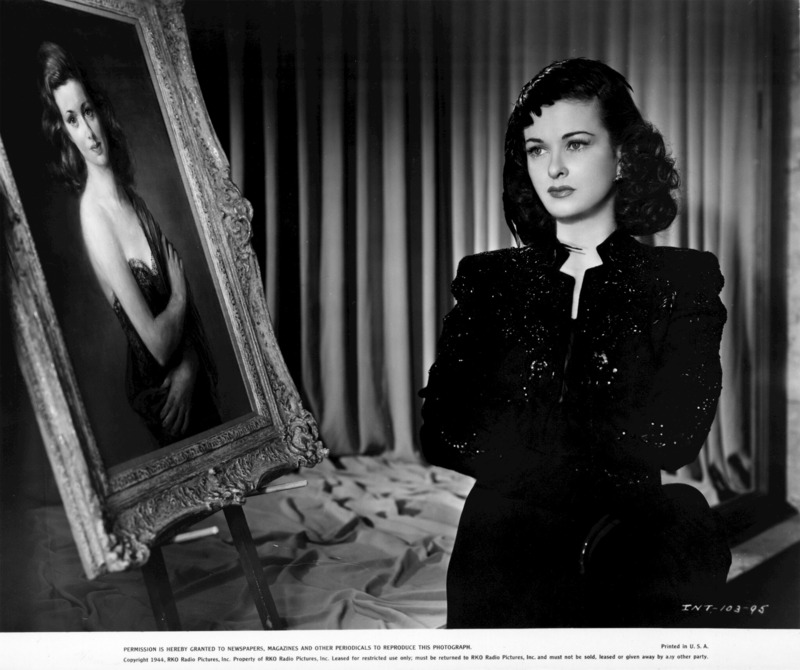 Haunted portraits play an important part in the plot or the mise-en-scène of many Hollywood noir thrillers and gothic melodramas of the 1940s and early 1950s. In films such as Rebecca (Alfred Hitchcock, 1940), Laura (Otto Preminger, 1944), Scarlet Street (Fritz Lang, 1945), and many others, portraits seem to hold magical powers over their beholders. Closely connected to specific plot situations and specific characters, these paintings usually share formal characteristics. Rather than enjoying the status of artwork, portraits in film noir serve primarily to explore the fantasmatic virtualities of the painted portrait. Their mesmerizing is power is first and foremost based on cinematic techniques (shot compositions, camera movements, editing patterns, et cetera). Steven Jacobs is an art historian specialized in the relations between film and the visual arts. He published The Wrong House: The Architecture of Alfred Hitchcock (2007), Framing Pictures: Film and the Visual Arts(2011), and The Dark Galleries: A Museum Guide to Painted Portraits in Film Noir, Gothic Melodramas, and Ghost Stories of the 1940s and 1950s (2013, with Lisa Colpaert). He teaches at Ghent University, Belgium.